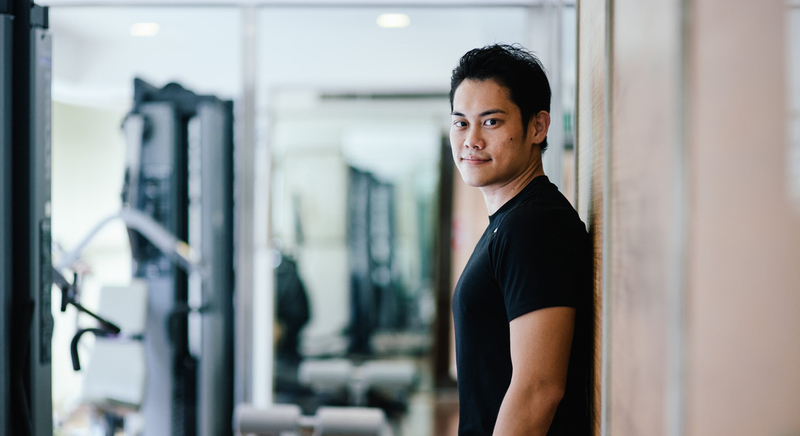 Sean Lee is a motivated and results driven personal trainer with more than 10 years of coaching experience since 2004. He believes that a fitness training program should be practical and easy to follow, achieving short term goals along the way without having injuries. With a Sports Science degree, Sean constantly strive to improve his personal training methodologies and workout ideas to cater for all his clients from all walks of life. His ability to modify a complex training program to an easy to follow exercise handbook, has made him successful in changing his clients lifestyle. No gimmicks, no hard to follow complicated routines . Sadly, the fitness industry has turned into a money making industry with full of unrealistic gimmicks and promises by trainers. Trainer Sean is against this view totally. He believes in long term results that is realistic and sustainable, by giving clients the best value for money service. End of the day, its all about good service and experience. With his years of coaching experience, he is able to listen and give sound advice to clients that wants to improve their health and fitness. He believes that anyone can change their life through fitness, starting form now. There is never a good day to start if one hesitate. Constant motivation and positive vibes helped Sean to fulfill his clients needs and goals. Its not about the exercises, but the feeling you get from doing it. Even the most simple push up can make one feels good if done in a positive mindset. He takes care of the clients mental well being and health. Lets talk a bit about Sean’s commitment in his job. Believe it or not, his first client started at 6am early in the morning. He has never fail to miss or skip a training session. This is the commitment and hard work he has put in for more than 14 years. He is not fancy looking nor a buff, showy celebrity trainer but a down to earth sincere person. Being humble comes a long way for him. His focus right now is to make fitness training fun, always involving different exercise variations to spice up and shock the body! To him, Ptworks is not just a job. Its a commitment with passion. You will never feel like a job if you have passion in what you are doing. Without passion, one will not last to the end. So enjoy every bit of your fitness journey with Sean and he will make sure you achieve your personal goals, no matter how hard it is.